In today's over-sanitized world who would have thought that adding bacteria to your diet would be the new, hot, trend that doctors and health gurus alike are raving about? Of course, the bacteria we are referring to is beneficial bacteria, otherwise known as probiotics. 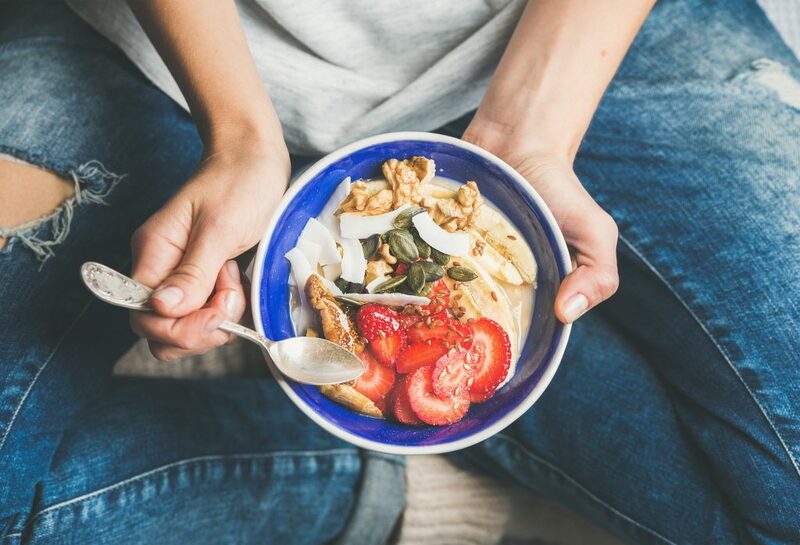 New studies are continuously being released connecting the benefits of taking probiotics to better digestion, clearer skin, improved mood and decreasing the occurrence of a person getting sick! How do probiotics work? Our bodies contain a mix of good and bad bacteria. They are found all over - in our mouths, on our skin, and in our gut. Under normal conditions, the good bacteria outnumber the bad and helps provide a barrier to keep the bad bacteria in check. When this occurs our digestion moves smoothly, which means that we are able to better absorb the nutrients from our food. Good digestion means our body has the proper building blocks to make important hormones like serotonin which is the feel-good hormone (yay!). Why do we need probiotics? There are many factors that contribute to an imbalance of good to bad bacteria. First is taking anti-biotics - these do exactly that, they are anti-bacterial meaning that they kill all the bacteria in your gut, the good and the bad. Stress is another factor that will reduce the number of good bacteria in your gut. This is because when we are stressed our body wants to release everything - often resulting in diarrhea, which means good bacteria will flow out along with everything else! Lastly, what you eat can deplete the number of probiotics in your gut. For example, if you drink a lot of coffee and eat mostly refined grains and processed foods - this will all pass very quickly through your digestive system and will not contribute to a healthy environment for the probiotics to thrive allowing the bad bacteria free reign. How can we increase the number of probiotics in our gut? You can probably guess one of the simplest ways to increase the probiotics in your gut. This would be to take probiotics! There are many different probiotics to choose from and we recommend that you speak to your health practitioner or come in to speak with one of our Nutritionists to ensure you are taking the one that is best for you. Eating probiotic-rich foods is another great way to increase the number of probiotics in your gut. Some of our favorites include kombucha, kefir, sauerkraut, and yogurt. Probiotics are massively important to our overall health. Keeping a good balance is vital and an imbalance of the overgrowth of bad bacteria can be one of the major reasons we're not at our best. Immune, digestion and emotional side effects can all stem from this so remember to take care of the little guys (your probiotics)!